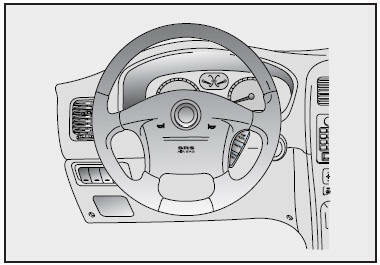 An air bag in the steering wheel. A second air bag in the passenger’s side dashboard. A diagnostic system that continually monitors system operation. An indicator light to warn you of a possible problem with the system. Emergency power backup in case the electrical system in your car is disconnected in a crash. 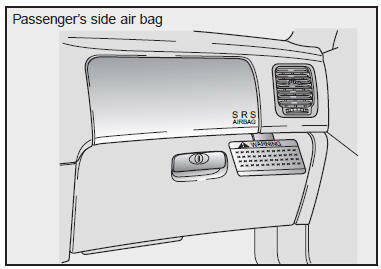 To indicate that your vehicle is equipped with driver’s and passenger’s side air bags, the air bag covers on the steering wheel and on the dashboard are marked “SRS AIR BAG.